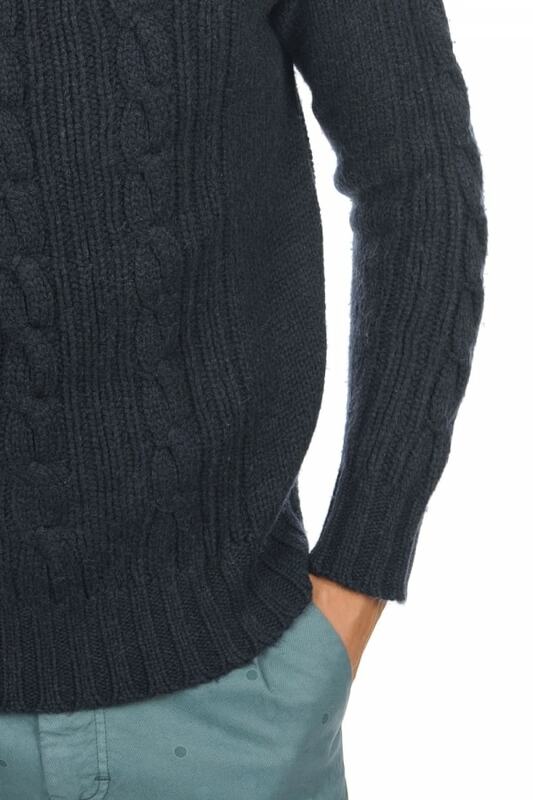 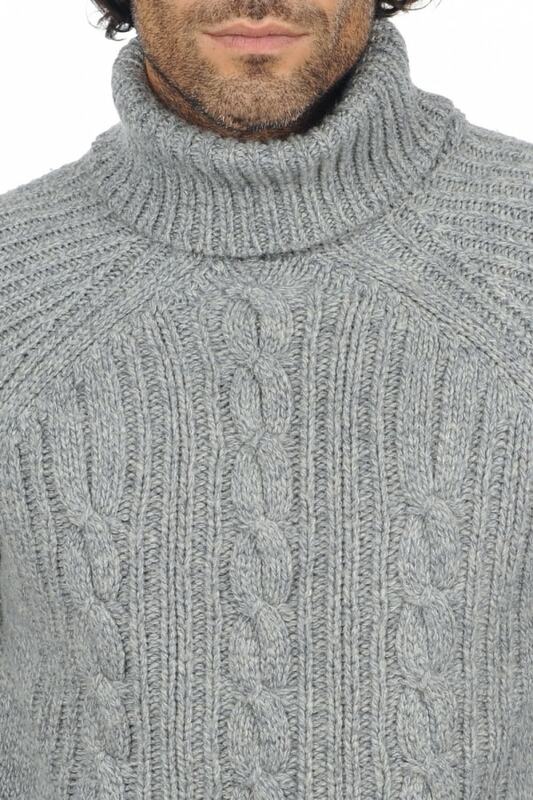 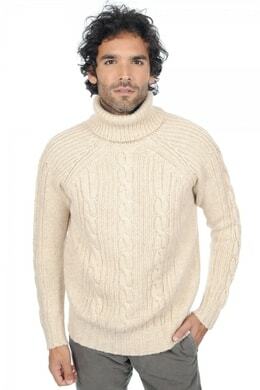 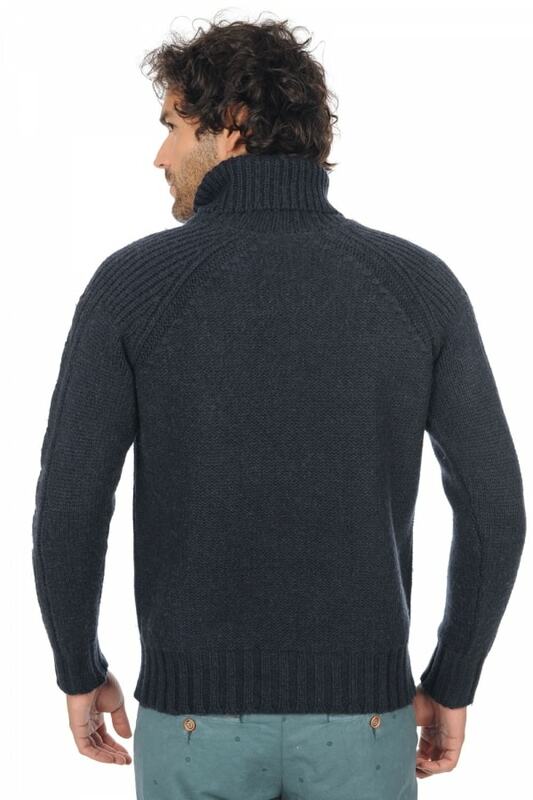 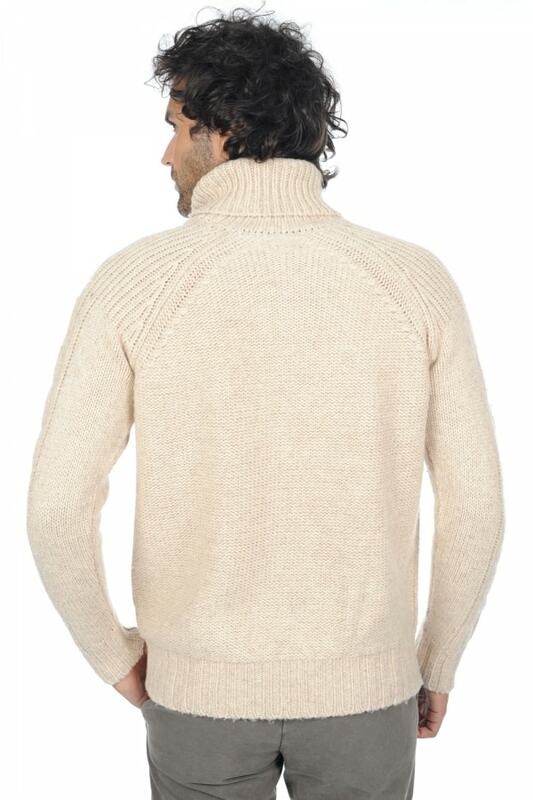 A splendid cable design turtle neck from camel hair. 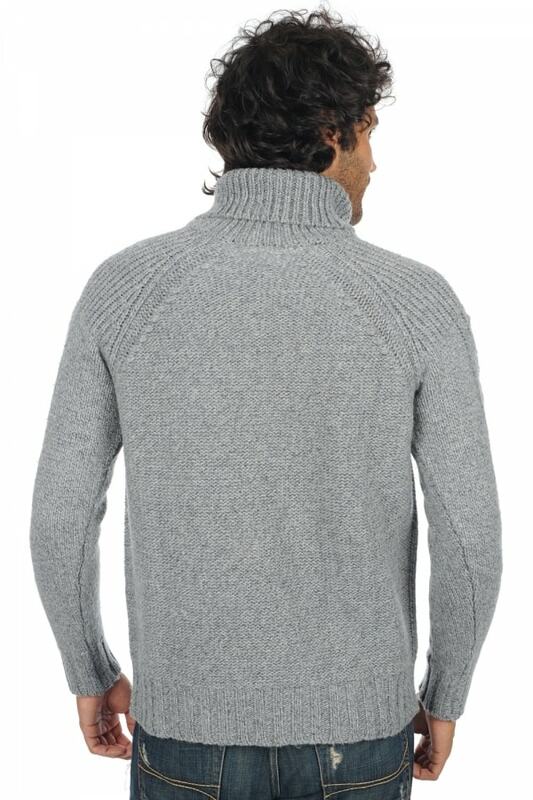 The raglan sleeves with a rib effect on the shoulders creates a very masculine style. 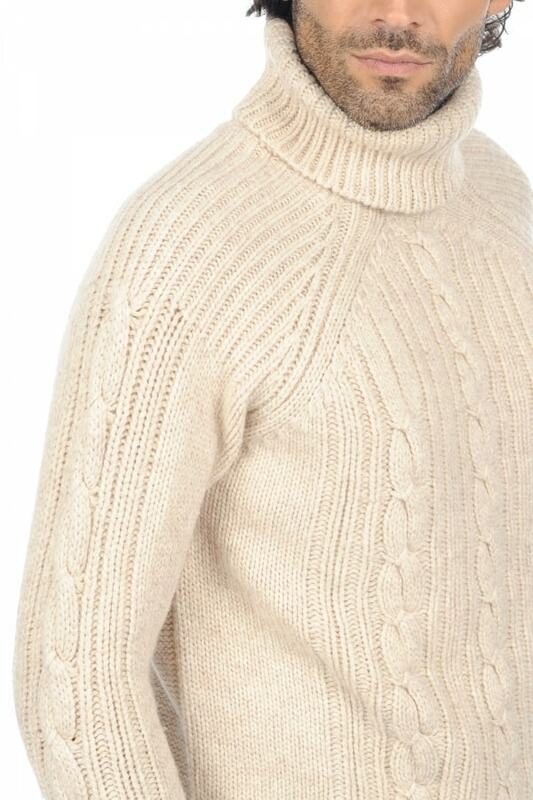 A chunky turtle neck that guarantees you will be ready for the winter!